Every bride deserves to be treated like royalty, and royalty deserve to be placed in a castle. 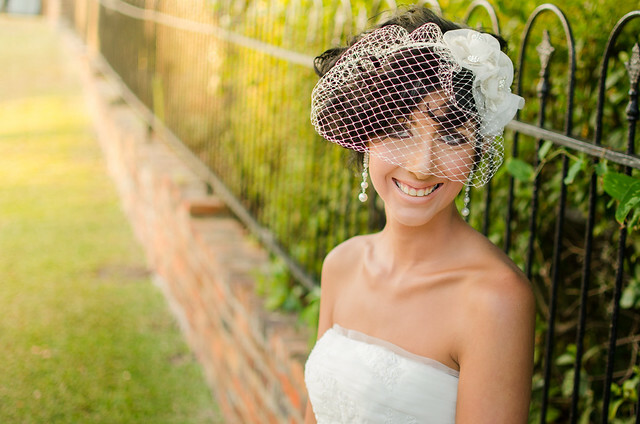 That was the case for Nikki’s bridal portrait session. It's fun living in a small town and working with locals, because chances are you have crossed paths with them numerous times. I didn't grow up with either of them, but I met Mitch and Haley when they were dating and both working at a local restaurant that my wife and I went to pretty regularly. They became very close to us and it was a lot of fun to watch their relationship grow. Mitch even told me when he got the ring and planned to propose, so it's an honor to get to document their lives through my photos. We decided to take a stroll around The Market Common in Myrtle Beach for a few photos before their big day. Click through to see all the photos! Wildberry Farm is so much fun for both portrait sessions and weddings. There are so few venues in the Myrtle Beach area that provide so many different types of places for inspiration in one location! From a luxurious loft apartment to wooded nature walks to the beautiful barn reception hall. One of my absolute favorite things on property is this beautifully placed swing right outside of the loft! With all the amazing places around the Wildberry property, my client Shannon wanted to take advantage of the beautiful weather and scenery for her bridal portrait session. This North Myrtle Beach bridal portrait session was simply magical! The beautiful scenery at The Surf Club made for an amazing evening as golden hour set in. Heather found her dress at David’s Bridal and her grandmother made the beautiful flower arrangement for her bouquet. Heather and her fiancé Chris were also married at the Surf Club months later for a gorgeous spring ceremony over looking the golf course and ponds. If you are looking for an amazing location in the North Myrtle Beach area, I highly suggest this wonderful venue! Just a quick tip today about camera angle. I have to images where the couple were standing in the exact same spot but I changed my position and completely improve this photo. Shot with an 85 mm it was pretty long and the background was compressed a good bit. I had an assistant holding lights to make sure everything was lit correctly on the couple so I could play a bit with the ambient light around me. I probably could've used a wide angle lens to capture as much of the fairgrounds as possible but it wouldn't have given me the sharpness and depth of field I was looking for on the 85mm. So I tested the light with the couple standing in shot one but realized that my background was very boring, so all I did was move over about 10 feet to my right in a perimeter around the couple allowing me to capture this really fun romantic image. Though this was pretty simple work, and they didn't want anything fancy, I still had a lot of fun interacting with these people and hearing stories that they were interested in telling. Many of these men served together during different tours, so to see them together all these years later was very cool. Anyway I curated just a few images that I'd like to share with you that didn't make it into their reunion book but will be in my personal collection forever because of what it meant to me not necessarily because they're the best portraits of ever taken. Hope you enjoy them. I love networking with people in my trade. It's wonderful to spend some time with like minded people who understand the struggles of the business and who appreciate the geeky talk about gear that we all either openly or secretly love. Gaining friends in this industry in necessary to properly grow. I love photo groups and meeting new people and those networking groups and events really have helped make new friends. Conway, South Carolina is my home town and still close to the top of my favorite places to shoot in the whole world. There is just something about the way downtown feels and helps to convey the relaxed nature of the whole town. 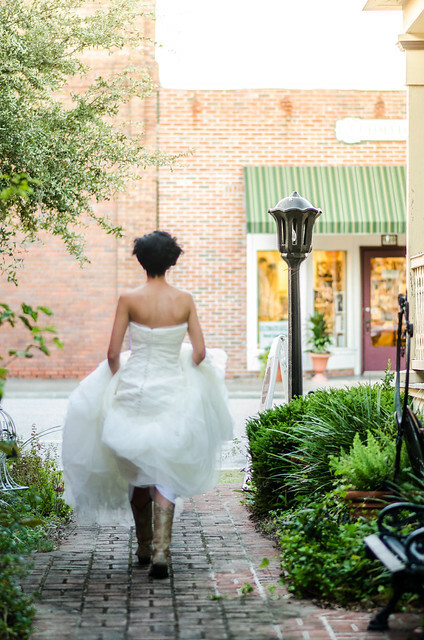 Though known as a college town, Conway is home to a lot more than just classrooms and sports arenas; it has a beautiful historic downtown area with a riverside boardwalk that makes for a wonderful location for photos! Myrtle Beach, South Carolina is a very popular destination for family vacations, everyone knows that. Many families love capturing their vacation in family portraits taken on the beach. It doesn't have to be limited to family portraits though. Meet Becca. She is a rising senior who is very involved in her high school sports. She had a certain vision and I was very glad to help her out with it! I love when a client comes with an idea and also allows me to be creative to come up with something she likes. We ended up shooting under the Springmaid Pier and around The Market Common on the south end of Myrtle Beach. Enjoy! I love engagement sessions because it's so easy to see the love between two people. I don't just mean the love that you see plastered all over bridal magazines and Pinterest, I mean the personal, hilarious and quirky love that every single couple shares, but is unique to every pair. I know that my wife and I have little things that make us crack up with a single word and every couple I have had the opportunity to shoot has always had something between them that you can just tell that no one else in the world knows. Conway, South Carolina is my home town and where I spent the first 23 years of my life. Though I only live 20 minutes away now, I don't get the opportunity to see many people that I grew up with. It's nice to catch up with people I haven't seen in forever and help them back up their memories of this time in their life with photos! My friends Adam, Christian and their son Emerson were a ton of fun to photograph! Cosplay is not a new concept, but it has become more normal in the pop culture over the last 5 years or so. Events such as Comic-Con have really pushed geek culture to the forefront and dressing up for fun doesn't just have to be on Halloween anymore. I have some friends here in the Myrtle Beach area who all dress as Disney Princesses for different events. They spend a good bit of their time doing makeup, hair and making sure their costumes are just right for everyone's enjoyment. Click through to see the video and photos! I spend most of my time behind a camera. At my day job or on my own time, I either have a camera in my hand or I am editing photos and video. One thing I don't do very often is get in front of the camera. There is something frustrating about knowing what to say to pose someone and not understanding how to handle posing myself while being photographed. This however is a very different example from the normal photos I have had taken in the past. This past December, I had the privilege of assisting Daniel Krieger, a food and wedding photographer out of New York, on a wedding in Charleston, South Carolina. I had never met Daniel before the day of the gig but I had researched his work a good bit and was excited to work with a real pro. Right after meeting for a quick lunch we were awaiting details and he saw an interesting shadow that he wanted to use and quickly asked me to stand in a particular place and where to look. It was quick but easy. That is really what I want t strive for from now on. The thing that made this photo so easy to pose for was that it happened before awkwardness had a chance to set in. Here I am standing there, just listening to his requests and putting them to use. If there is only one thing I could take away from my time watching him work, it would be that it's not enough to be confident in what you are doing. You can't just sound like you know what to do; the extraordinary has to be a reflex, something you don't even think about. That is the true mark of an artist is knowing your craft well enough to look at the scene and see your result. Thanks for reading and be sure to check out Daniel's work! 2013 was a great year for me. I travelled. I met a lot of interesting people and best of all, I was able to document all of it. Here is some of the best and my favorite photos I took during 2013. Enjoy! Though you may have done the basic step to the foxtrot a million times more than necessary, your partner may very well have never done it before; and if you only think about yourself, your partner may very well never do it again. With you at least. A very large part of a Christian's walk is an outward statement to symbolize the change that is made within. Every denomination has something that fills this need. When a Christian decides to be baptized it is an outward testimony that the person has buried their old life, dying of self so that they can rise again and let the love of God live in them and be spread through them. Though it is a tradition, it is not ritualistic. There is no magic in baptism. The way my pastor likes to put it is this: "If you go down in the water without your heart cleaned first, You'll only come up a wet sinner." Baptismal services are a beautiful thing to witness if you never have before. Though our church has a baptismal pool inside the sanctuary(remains covered underneath the choir unless in use), our church most always opts for a baptismal service at the river. I like the sentiment a little better in the river because, it's so obvious that being baptized in this water isn't exactly cleaning you physically. The water is murky and brackish in places, a mixture of sand and mud and dark water doesn't exactly sound like something thats going to make "whites whiter and colors brighter". It's a true statement about the cleansing of ones soul. Enjoy the photos! So, now that the coast is clear and Hillary and Brent are now married, I can finally post Hillary's Bridal Portraits! First of all, CONGRATS to Hillary and Brent! And secondly, I would like to thank Hillary for such a wonderful shoot. This session took place in downtown Conway, starting in the same place the groom's mother had her photos taken and then ending down near the train tracks. Conway is one of my favorite places to shoot just for the fact that it's so historical. I love brick building and ivy fences and luckily for me, Conway is built on those things! Enjoy! Thank you for viewing! Make sure to subscribe to continue seeing the new work that I post!